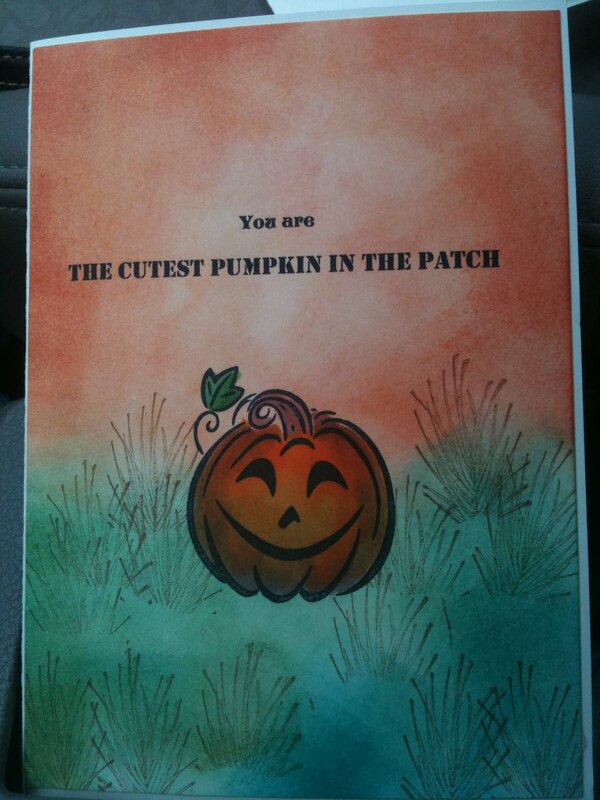 This card was made for one of my daugthers.The paper is from various companies. 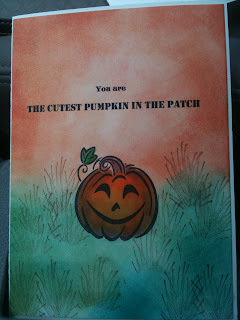 The stamp is Stampabilities' Whimsical Pumpkin. I colored the pumpkin with Copic Markers. This card was made for one of my grandsons. 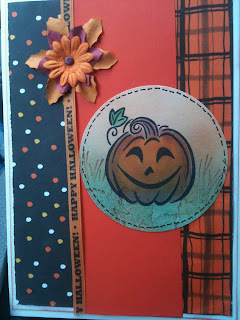 The top part was inked with Stampin' Up's Pumpkin Patch. 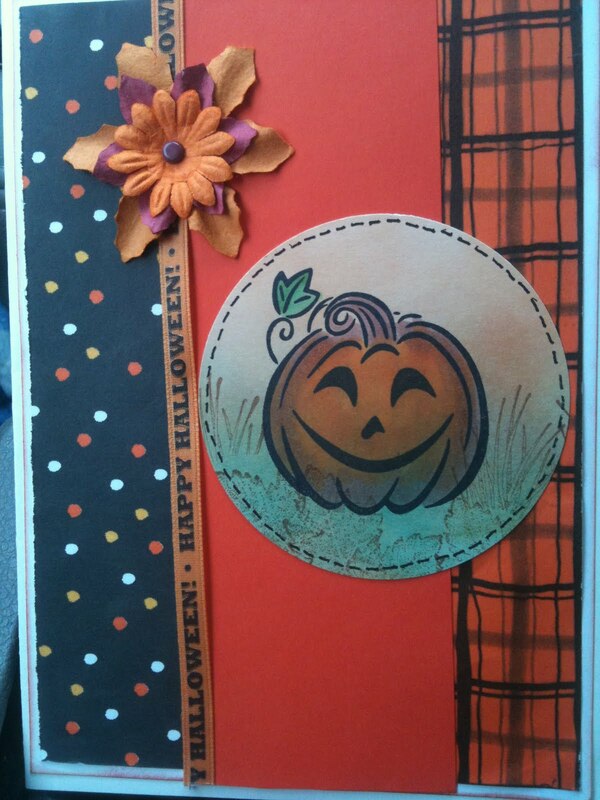 The bottom half was inked with Stampin' Up's Fiesta. The pumkin is from Stampabilities' Whimsical Pumpkin. I colored the pumpkin with Copic Markers.